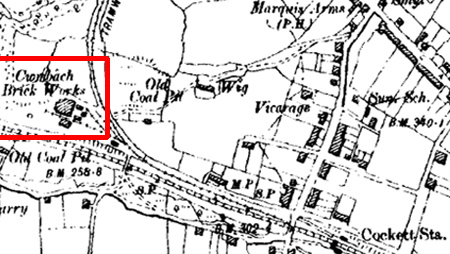 Cwmbach Colliery Area reproduced from (1868-1892 ) Ordnance Survey map,(without red marker). Weighing machine near by. 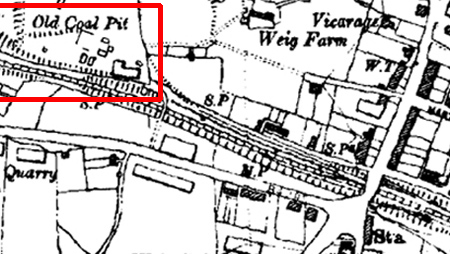 Cwmbach Colliery Area reproduced from (1899-1902 ) Ordnance Survey map,(without red marker). 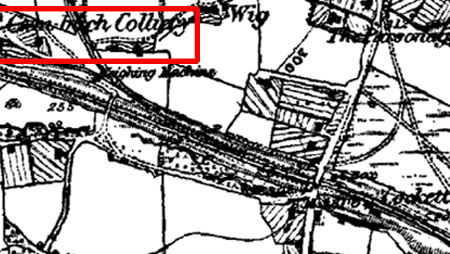 A number of colliery's were converted into brick works..
Cwmbach Colliery/Brick Works Area reproduced from (1920-1932 ) Ordnance Survey map, (without red marker). The Cwmbach Colliery worked the Six-Feet and Three-Feet seams, this was started sometime before 1851 and records show this followed through to 1891. There was a thirty two year gap before the re-sinking work in 1923, this only lasted about a year before the colliery was finally abandoned. J21 MINING AND INDUSTRY,COAL etc 1851 Feb. 14 Cwmbach (adjoining Weigfach) Colliery, Swansea To Let. Apply WM.Thomas, Millbrook Iron Works. J21 MINING AND INDUSTRY,COAL etc 1853 June 24 Cwmbach Colliery now run by Elias Jones & John Jones. Partnership between them & William Thomas has been dissolved. J21 MINING AND INDUSTRY,COAL etc 1856 Mar. 07 Cwmbach Colliery near Swansea: Horses, carts, furniture etc for sale. J21 MINING AND INDUSTRY,COAL etc 1856 June 20 Weigfach Colliery & Cwmbach Colliery near Swansea: Plant for sale. D10 TRANSPORT, ROADS 1867 Feb. 08 Swansea Police Court: Mr William Evans summoned by Mr.John Thomas, Cwmbach Colliery. J21 MINING AND INDUSTRY,COAL etc 1867 July 05 Cwmbach Colliery,Swansea- J.Thomas, Temple St., Spirit Merchant, moves to Llanwrtyd Wells. P4. 1869 Worked by John Thomas. Worked by T. Glassbrook and Company. 1882 Worked by the Cwmbach Coal Company. J21 MINING AND INDUSTRY,COAL etc 1888 June 22 Mines abandoned - forthcoming sale of plant at Cwmbach & Saints Pit Collieries, near Swansea. J21 MINING AND INDUSTRY,COAL etc 1888 July 20 Swansea Parish Church vestry meeting and Cwmbach Colliery. J21 MINING AND INDUSTRY,COAL etc 1888 Oct. 19 Cwmbach and Saints Pit Collieries, Cockett, Swansea. Plant for sale by Richard E. Hughes. J21 MINING AND INDUSTRY,COAL etc 1888 Oct. 26 Cwmbach and Saints Pit collieries, Cockett, Swansea: Machinery sale. P532 KELLY'S DIRECTORY 1891 Cockett: Commercial. Cwmbach Colliery Co. (J.J. Jenkins, prpr). 1891 June The Colliery became abandoned. Owned by the Cwmbach Colliery Company, nine men are employed when sinking started. Finally the sinking was abandoned. 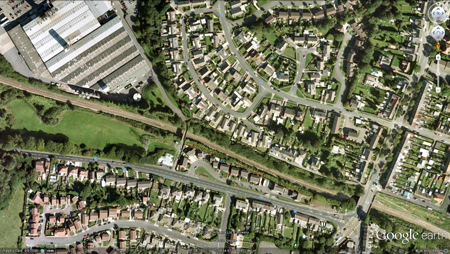 "There was a Cwmbach Colliery at Cockett in the 1920's. operations in 1923 but by 1924 sinking had been abandoned." The word "Cwmbach" meaning "small valley" was used to filter the Cambrian index as best as possible with the information available.